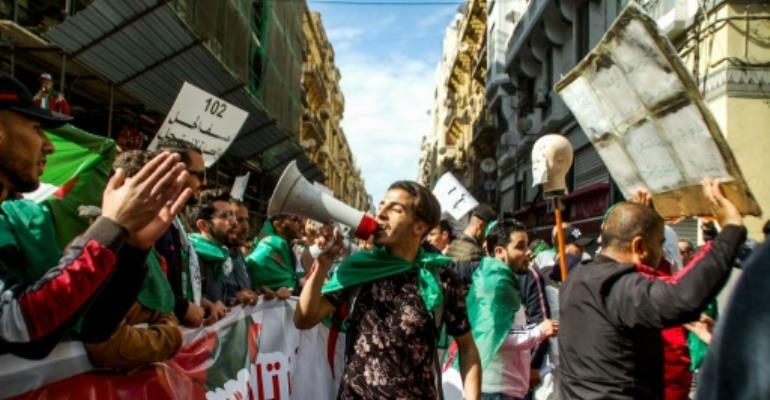 The moves come amid nationwide protests against President Abdelaziz Bouteflika and follow the arrest of one of the incumbent's key backers, business tycoon Ali Haddad. Haddad, who Forbes magazine describes as one of Algeria's wealthiest entrepreneurs, was detained overnight Saturday to Sunday at a border post with neighbouring Tunisia, a security source said, without giving a reason for the arrest. The veteran leader, who has rarely been seen in public since suffering a stroke in 2013, said last month he would pull out of the race but postponed elections which were due in April. The concession has done little to halt public ire and hundreds of thousands of people took to the streets of the capital Algiers on Friday demanding the president and his entourage go.